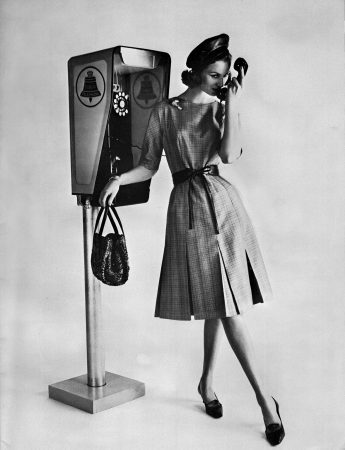 A fashion model using a pay phone: as good a theme as any to build a dress catalog around. 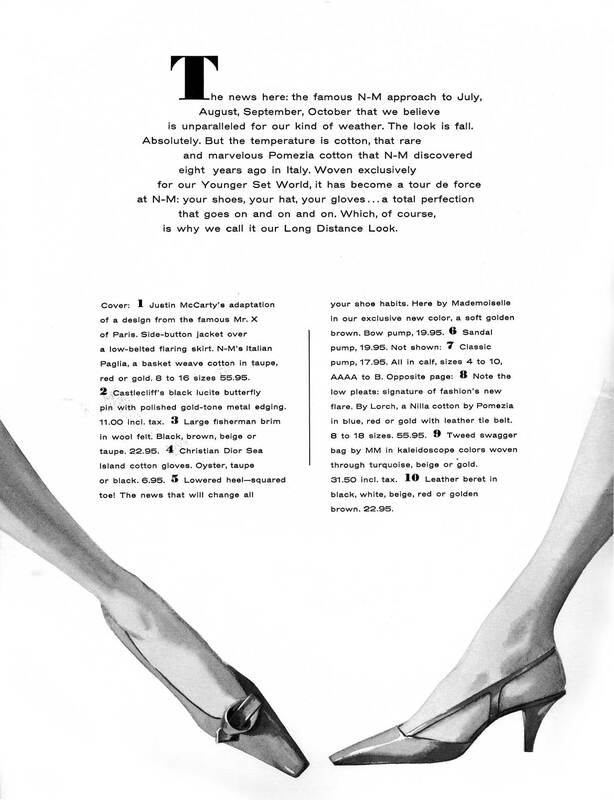 Nieman-Marcus called these fashions their “Long Distance Look”, mostly because the cotton was sourced from Pomezia Italy. Also because they represented “a total perfection that goes on and on and on.” Right, whatever. Styles were certainly different then, but the obsession with fashion names remains familiar – Christian Dior, for example, but also now-forgotten fashion designers like Justin McCarty, Lorca, and Castlecliff. So does rather overwrought copy like “The news that will change all your shoe habits!” (which turns out to be lower heels and squared toes.) The shoes don't look radical to me, but look at those feet! You can never been too rich or too thin…especially when shopping at Neiman-Marcus. Previous Previous post: Learn to Dance! Learn to Hypnotize!